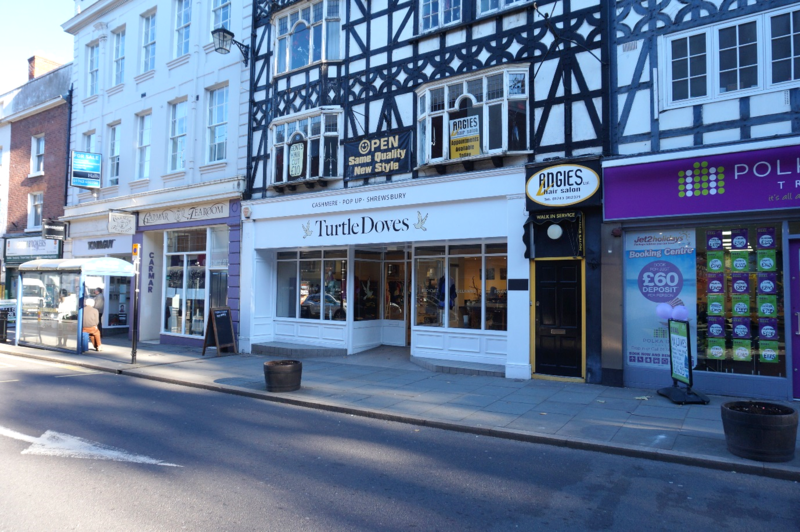 Cooper Green Pooks (Commercial Property Consultants) are pleased to report the letting of 39-40 Castle Street, Shrewsbury to British design and manufacturing company, Turtle Doves Ltd. Turtle Doves is a family run company, specialising in beautiful and unique garments and accessories created from recycled cashmere. All material is ethically sourced and recycled, sought from charity shops and textile merchants, whilst all their products are designed and manufactured in Britain. Turtle Doves started in 2009 when owner, Kate Holbrook, dreamt up the design for some unique wrist warmers, which are also fingerless gloves, making them for friends and family. Since then the business has grown rapidly, resulting in the company receiving a Gold Medal in the Green Apple Awards at Houses of Parliament in 2015. Selling many items from the iconic wrist warmer gloves, to scarves, ponchos and baby wear, this shop will be the perfect spot to purchase any Christmas gifts for a loved one. 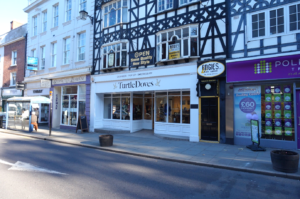 The ground floor shop unit is self-contained and occupies a prominent trading position on Castle Street. With a sales area of 82.95 sq m (893 sq ft) the property was offered on a short term deal.